You are here: Home > MCSD News & Alerts > MCSD News & Alerts > CMS News > Summer Food Program Starts June 6th! All Children Ages 1-18 Can Participate! The Summer Food Program will start on Monday, June 6 and run through Friday, August 12th! All children ages 1-18 can participate! 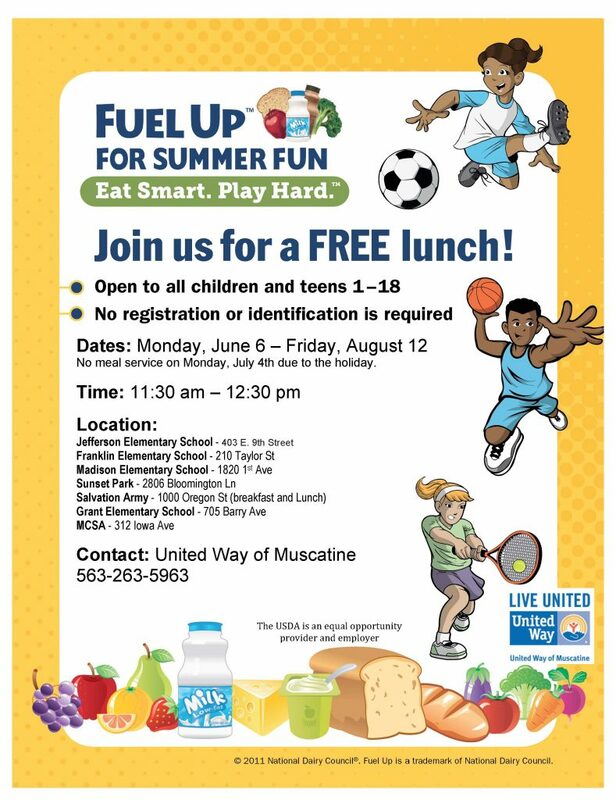 Thank you to United Way of Muscatine and its volunteers for providing this important service to the children of Muscatine!